Whether you’re in the process of healing or already have succeeded in doing so, I invite you to check it out and consider becoming a member. If you’re still on your way to better health, feel free to post any questions you have about your journey. If you have already regained your health, please share your knowledge and experience. Together we can build a dynamic and mutually supportive healing community. 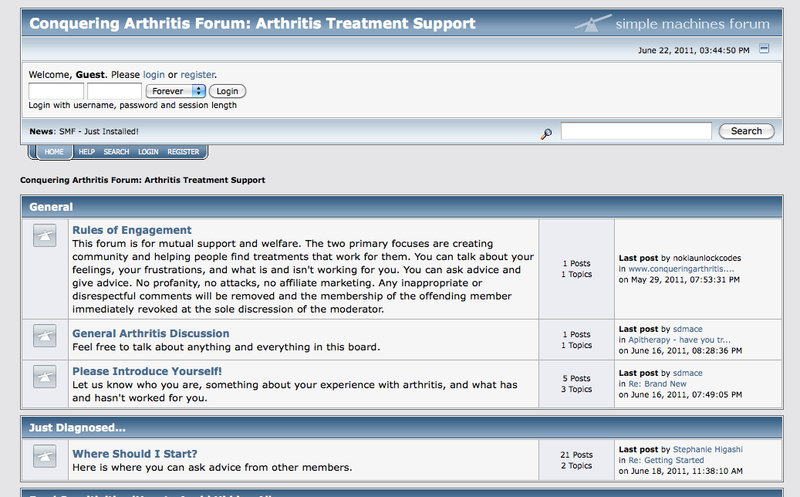 This entry was posted in Uncategorized and tagged arthritis treatment forum, conquering arthritis forum, rheumatoid arthritis. Bookmark the permalink. 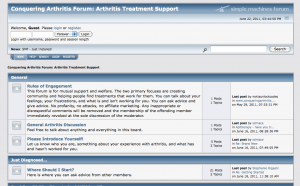 One Response to Conquering Arthritis Forum Launched!